The United Nations Central Emergency Response Fund (CERF) has contributed $6 million (about Shs21 billion) to the United Nations System in Uganda to respond to the influx of refugees fleeing from the Democratic Republic of Congo (DRC). This contribution was announced by Mr Mark Lowcock, the United Nations Under-Secretary-General for Humanitarian Affairs and Emergency Relief Coordinator. The CERF is the UN’s global emergency fund designed to deliver funding quickly to meet immediate humanitarian needs around the world. 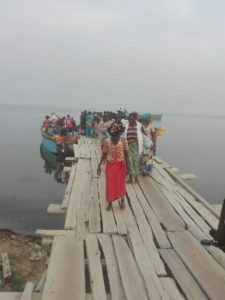 Since the start of this year, more than 43,000 refugees have fled from DRC to Uganda, many making the dangerous journey across Lake Albert in unsafe boats and some have lost their lives in the process. “On behalf of the United Nations System in Uganda, I want to thank OCHA for this very timely contribution that will enable us to save lives, protect the most vulnerable and sustain the asylum environment among host communities,” UN Resident Coordinator Rosa Malango, said. These funds arrive when Uganda is receiving a constant inflow of vulnerable persons from DRC seeking refuge and safety in vulnerable Ugandan host communities. The approach of the Government of Uganda to keep its borders open and enable refugees to cohabitate with local communities remains an important positive example of the comprehensive refugee response approach and the new way of working. Of the $6 million allocation, the UN High Commissioner for Refugees (UNHCR) will receive $3.3 million (about Shs12b) for life-saving humanitarian assistance in protection, shelter, health, water and sanitation while the UN Children’s Fund (UNICEF) will receive $1 million (about Shs3.6b) for its multi-sector response to the escalated refugee influx. The UN World Food Programme (WFP) will receive $500,000 (about Shs1.8b) for food and nutrition support for refugees, while the UN Population Fund (UNFPA) will receive $500,000 (Shs1.8b) for the provision of life saving sexual and reproductive health services, including emergency obstetrical and new-born care and response to gender-based violence. The UN Migration Agency (IOM) will receive $500,000 (Shs1.8b) for emergency sanitation, hygiene and protection services while the World Health Organization (WHO) will receive $200,000 (about Shs730m) for emergency measures for communicable disease management and control among new refugees and their host communities. The UN humanitarian assistance to refugees will be delivered in partnership with local district governments and NGOs. The rapid response projects will be carried out within six months of this allocation after which a report on expenditures will be sent to the Emergency Relief Coordinator. The CERF has a robust monitoring and accountability framework that applies to all allocations. According to the Inter-agency coordination group on refugees, comprised of the Uganda government, UN agencies and NGOs, Uganda is expected to receive about 60,000 new refugees from DRC this year. However, only two months into 2018, more than 43,000 refugees have already arrived in Uganda from DRC. “The refugee response in Uganda remains critically underfunded,” Malango said. For example, WFP has a shortfall of $28 million for the six months for refugee operations in Uganda from February through July 2018. “We want to thank national and international partners for their continued support to our efforts and request for additional resources to address the needs of the refugees and the communities hosting them in Uganda. By this we will ensure that we live up to the aspirations of Agenda 2030 of leaving no one behind,” Malango said.